Artichoke Health Benefits, Dosage, Side effects and Warnings. 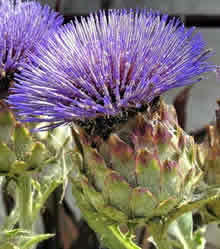 Globe artichoke (Cynara cardunculus) is one of the worlds oldest vegetable prepared as food and used in herbal medicine. Artichoke is a perennial herb, nativeto southern Europe and widely cultivated in the Mediterranean regions and central Europe. Artichoke has been traditionally used as diuretic and as liver tonic. Artichoke is used to treat various medical conditions including jaundice, dyspepsia, and chronic albuminuria. Artichoke grows up to 6 feet in height with strong and erect stem. Artichoke leaves are silvery greenin color, arching and deeply lobed about 20 to 32 inches long. Artichoke grows green large buds that are edible. 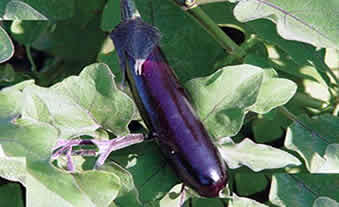 The buds have numerous triangular scales or bracts with purple florets, the buds grow to about 5 to six inches in diameter. Large artichoke flowers sprout from the head of the buds The artichoke plant blooms form July to August. Artichoke has a long history of medical usage and has a long list of folkloric health benefits for the following conditions. Artichoke promotes weight loss. 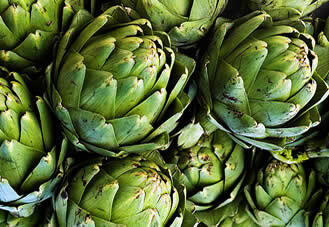 Cynarin an active chemical compound found in artichoke leaf is known to break down fats and improve bile flow. Artichoke helps the liver and the gall bladder to function efficiently. Controls blood cholesterol. Extracts from artichoke leaves can reduce blood cholesterol level in the body by inhibiting hydroxymethylglutaryl-CoA-reductase activity. Improving HDL to LDL ratio. Promotes bowel movement. 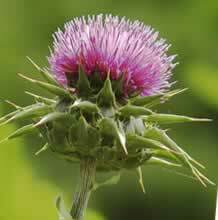 Artichoke leaf extract used to treat irritable bowel syndrome symptoms. Improves digestion. Artichoke contains bioactive agents such as epigenin and luteolin (probiotics) that promotes the growth of good bacteria in the colon and gut. Diuretic. Artichoke is a diuretic and can reduce swelling due to excess fluid accumulation. The artichoke, Cynara scolymus, is one of the most ancient plants grown in the world, and its extracts, obtained from different parts of the plant (leaves, fruits and roots), have been used as medicaments from time immemorial. The pharmacological and therapeutic effects of the artichoke on the liver had already been well known in the 17th century. Modern studies started in the last century confirmed the stimulating properties of artichoke extracts on the liver and gallbladder. This review enumerates the most significant studies that have highlighted these therapeutic properties. Awareness of the widespread use of complementary and alternative medicine by people with metabolic disorders is crucial for healthcare professionals in order to prevent cardiovascular disease. Source: Monaldi Arch Chest Dis. 2013 Mar;80(1):17-26. Artichoke (Cynara scolymus) leaf extract was one of the few herbal remedies which the clinical and experimental trials have complemented each other. 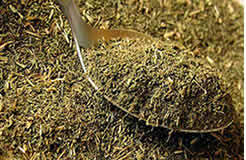 Both experimental and clinical effects have been verified through extensive biomedical herbal remedy research. Specifically, antioxidant, choleretic, hepatoprotective, bile-enhancing and lipid-lowering effects have been demonstrated, which corresponded with its historical use. Ongoing research seems to indicate that artichoke indeed have medicinal qualities. Most significant appears to be its beneficial effect on the liver. In animal studies, liquid extracts of the roots and leaves of artichoke have demonstrated an ability to protect the liver, with possibly even to help liver cells regenerate. Although research is not yet conclusive, scientists were optimistic that its long-standing use in humans for digestive and bowel problems was indeed justified. 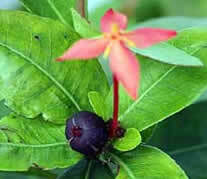 It may also play a role in lowering cholesterol and thus help to prevent heart disease. Boiled wild artichoke reduced postprandial glycemic and insulinemic responses in normal subjects but has no effect on metabolic syndrome patients. This article intended to review the wide ranging pharmacological effects of artichoke leaf extract. Source: Plant Foods Hum Nutr. 2015 Dec;70(4):441-53. Phenolic compounds from the leaf extract of artichoke (Cynara scolymus L.) and their antimicrobial activities. A preliminary antimicrobial disk assay of chloroform, ethyl acetate, and n-butanol extracts of artichoke (Cynara scolymus L.) leaf extracts showed that the n-butanol fraction exhibited the most significant antimicrobial activities against seven bacteria species, four yeasts, and four molds. The isolated compounds were examined for their antimicrobial activities on the above microorganisms, indicating that all eight phenolic compounds showed activity against most of the tested organisms. Among them, chlorogenic acid, cynarin, luteolin-7-rutinoside, and cynaroside exhibited a relatively higher activity than other compounds; in addition, they were more effective against fungi than bacteria. Source: J Agric Food Chem. 2004 Dec 1;52(24):7272-8. In various molecular, cellular and in vivo test systems, artichoke (Cynara scolymus L.) leaf extracts show antioxidative, hepatoprotective, choleretic and anti-cholestatic effects as well as inhibiting actions on cholesterol biosynthesis and LDL oxidation. Recently, active ingredients responsible for the main effects have been identified. 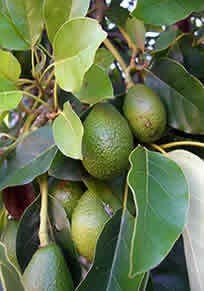 Thus, luteolin seems to be of crucial importance for the inhibition of hepatocellular de novo cholesterol biosynthesis. The anti-dyspeptic actions ware mainly based on increased choleresis. Regarding clinical data, lipid-lowering, antiemetic, spasmolytic, choleretic and carminative effects have been described, along with good tolerance and a low incidence of side effects. Due to its specific mechanisms of action, the future use of artichoke leaf extract for the prevention of arteriosclerosis can be expected. Source: Phytomedicine. 1997 Dec;4(4):369-78. There is a growing body of evidence which indicates therapeutic properties for artichoke leaf extract (ALE). Dyspepsia is the condition for which the herb is specifically indicated, but the symptom overlap between dyspeptic syndrome and IBS has given rise to the notion that artichoke leaf extract may have potential for treating IBS as well. A sub-group of patients with IBS symptoms was therefore identified from a sample of individuals with dyspeptic syndrome who were being monitored in a post-marketing surveillance study of artichoke leaf extract for 6 weeks. Analysis of the data from the IBS sub-group revealed significant reductions in the severity of symptoms and favourable evaluations of overall effectiveness by both physicians and patients. These results provide support for the notion that artichoke leaf extract has potential value in relieving IBS symptoms and suggest that a controlled trial is justified. Source: Phytother Res. 2001 Feb;15(1):58-61. Where can I get or buy Artichoke? Artichoke flower head is a vegetable usually available in groceries and markets. The globe artichoke is cooked and eaten as a delicacy. Artichokes can also be made into a herbal tea. Artichoke is the primary flavor of the 33 proof (16.5% alcohol) Italian liqueur Cynar produced exclusively by the Campari Group. Commercially prepared artichoke capsules and tinctures are also available in most health stores. It is also available online via Amazon which listed:Artichoke Hearts, as an example. there are other brands available, be sure to select from a reputable manufaturer and do follow the recommended dosage. Artichoke may also be prepare as a decotion or tea. This can be taken 2 to 3 times a day until condition improves. Artichoke tea or decoction from fresh artichoke head. Trim and prepare the artichoke head to fit in a pot of water. Boil for 4 to 5 hours. Let it steep for another 4 to 5 hours. Remove and strain artichoke parts. Artichoke tea or decoction from artichoke leaves, roots and stalks. cut about 150 grams artichoke part to a liter of water. Let it steep for another 10 minutes. Allergy. Artichoke have been reported to cause allergic reaction to sensitive people. When taking medications for diabetes, hypertension, heart problems, etc., Artichoke may couter-act or aggravate its effectiveness. 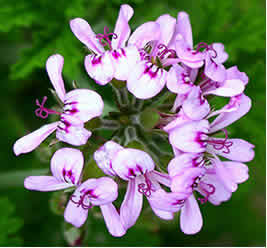 It is advised to consult your doctor before using this herb in medicinal quantity. Pregnancy and Breast feeding. There is no sufficient studies done to investigate the adverse or side effects of Artichoke herbal medications during pregnancy and breast feeding. It is recommended to avoid its use.